Our trails boast some of the best scenery Ireland has to offer. 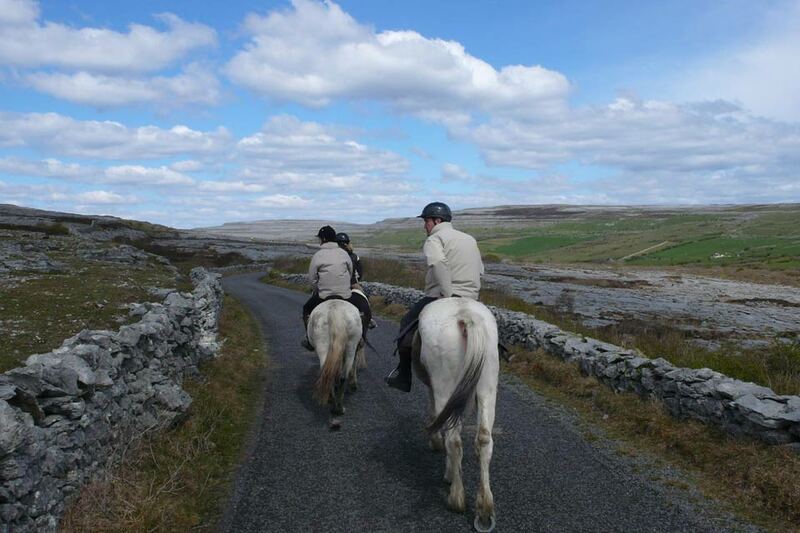 The Cliffs of Moher, The Aran Islands, Connemara and the Burren can all be seen from horseback while out trekking. 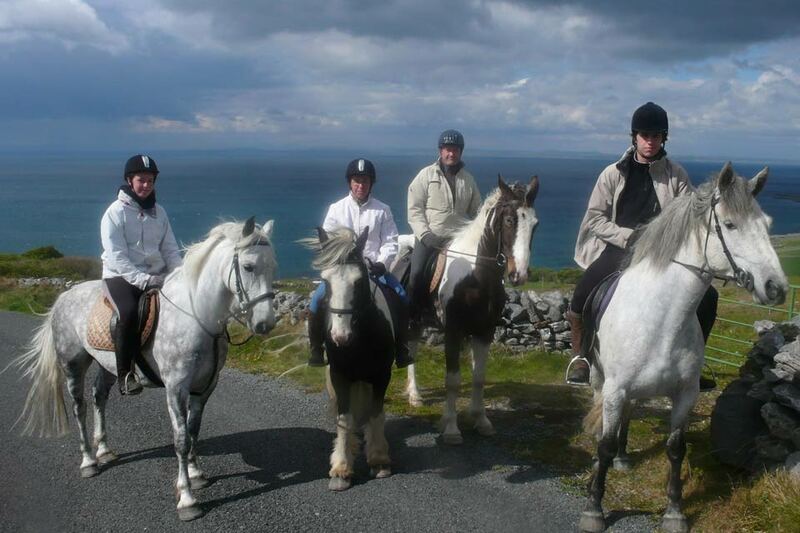 We know that each and every person has different capabilities and experiences with horses. Here at Mountain View we match each rider to the horse, so that we can give you the horse that suits your needs whether that be a gentle stroll or a lively canter. We provide helmet and half chaps to each rider. Trails range from about 1 to 6 hours in duration, so please browse our different routes below and see which one catches your eye. 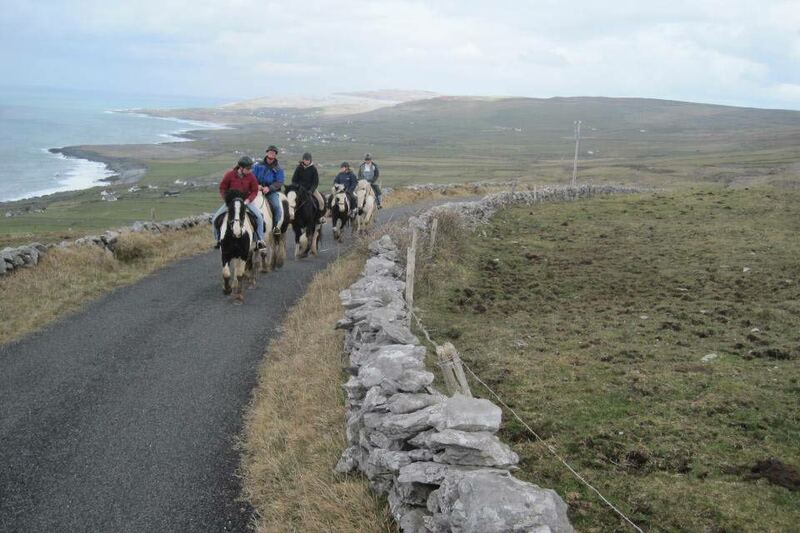 Trek along the outskirts of the Burren before hitting the hills where you will ride 1200feet above the ocean along the edge of the Atlantic coastline. This is a livelier 2 hour trek with trots and canters. Cost is 50 Euro per person. 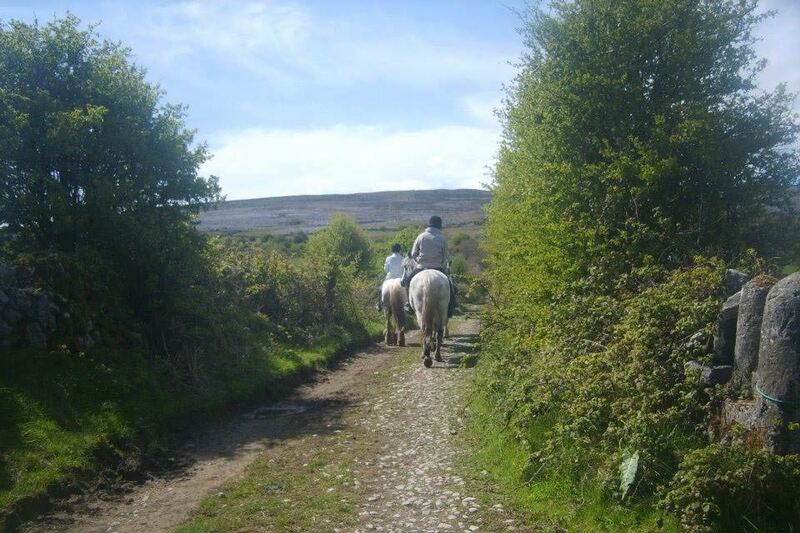 Suitable for beginner and advanced riders. .
Trek into the heart of the Burren where you will get a taste of Irish Folklore. 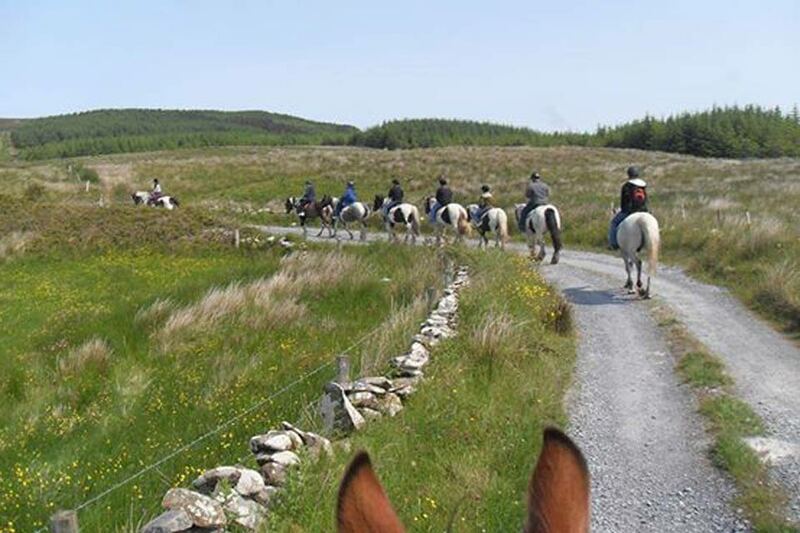 Ride alongside old stone forts and ruins left behind by the plight of the Irish Potato Famine back in the 1840's. Beautiful views of Slieve Elva, Connemara, Cliffs of Moher and The Aran Islands make this trek one of our most popular. These treks stretch to either 3 or 4 hours in duration depending on your own preference. Cost is 75 Euro per person for the 3 hour or €100 per person for the 4 hour.